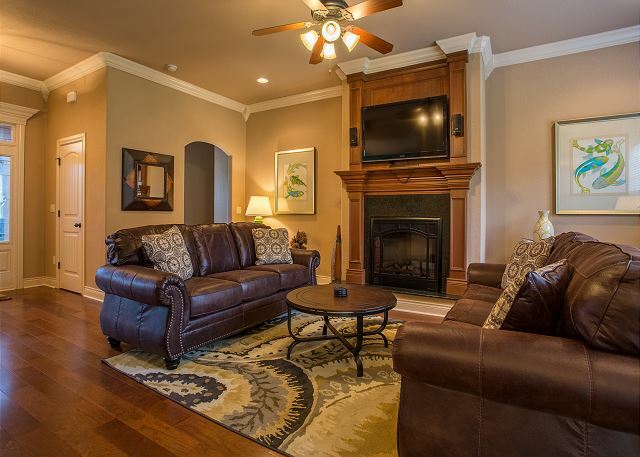 Why Choose a Branson Vacation Rental? 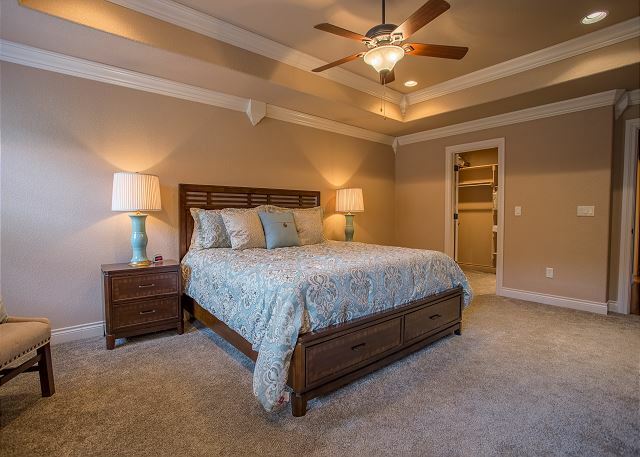 There are many advantages to choosing a vacation rental over a hotel / motel room. Check out our Rental vs. Hotel Room Page for details. We provide quality management services to both our property owners as well as our vacation renters. Sunset Nightly Rentals has over 30 years of management experience. Our associates are trained professionals that make sure our owners and vacation renters get everything they deserve and expect. Vacation rental house. 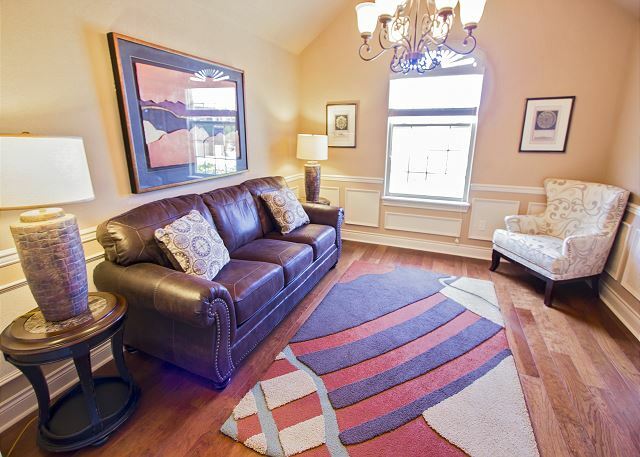 Sleeps 10, 4 bedrooms, 2.5 bathrooms. No pets allowed. 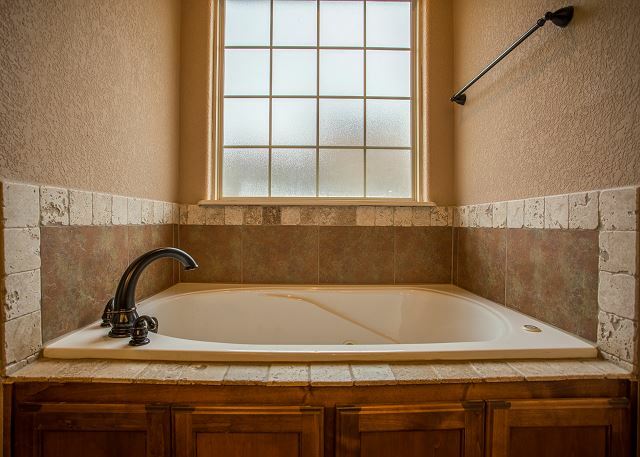 Escape to the perfect getaway when you rent this gorgeous 4 bedroom vacation rental in Branson Creek Community! 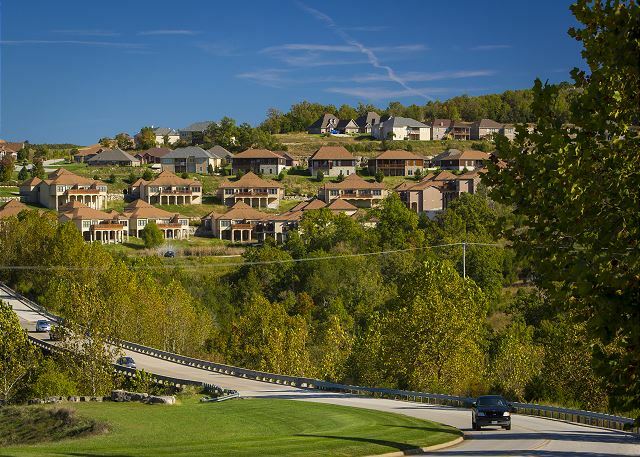 Branson Bluffs Retreat is the perfect place to stay during your vacay! Don't worry if your breath gets caught in your throat when you enter this lavish private home; with such breath-taking decor and enchanting design, it's only natural! This splendid rental has all the beauty with none of the sacrifices. 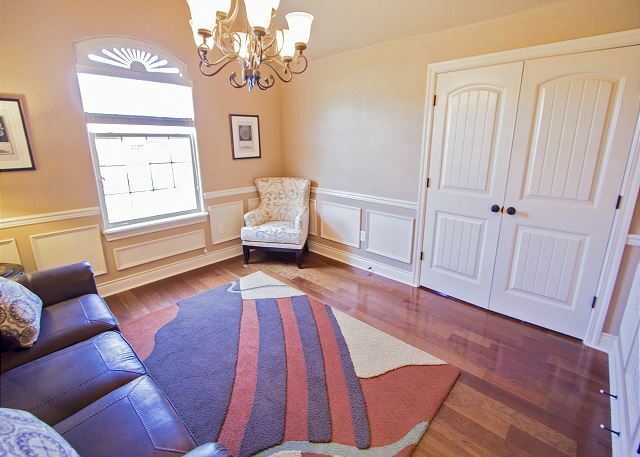 Kick your legs up and enjoy all your personal space, this home has plenty of it! After a relaxing lounge, whip up something delicious in the full-sized kitchen and enjoy a scrumptious meal together, or simply brew some fresh coffee and take a breath of fresh air out on the private patio. Whether inside or outside, you're in the perfect place to plan your fun-filled Branson vacation! And what fun there is to find in Branson! World renowned live entertainment, fantastic attractions, and delicious cuisine saturate the city through and through. Take a drive down the Branson Strip and see everything that Branson has to offer. Stop by Historic Downtown Branson for a truly unique experience, and make sure to pop into of of the several stores to purchase a truly special souvenir for your friends back home. 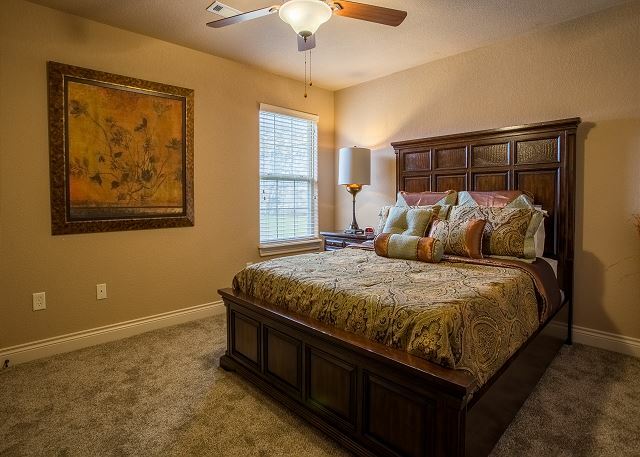 It is perfect for large families or several couples. Absolutely wonderful stay. It is not on the strip and no hustle and bustle but will absolutely stay there again. Loved it. 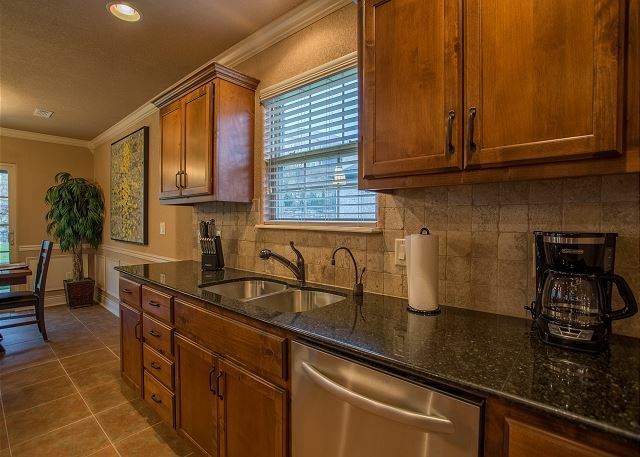 Branson Bluffs is a great property in a beautiful, quiet neighborhood. It was the perfect amount of space complete with all the amenities for a fun-filled girls weekend. We’re planning to return again next year. 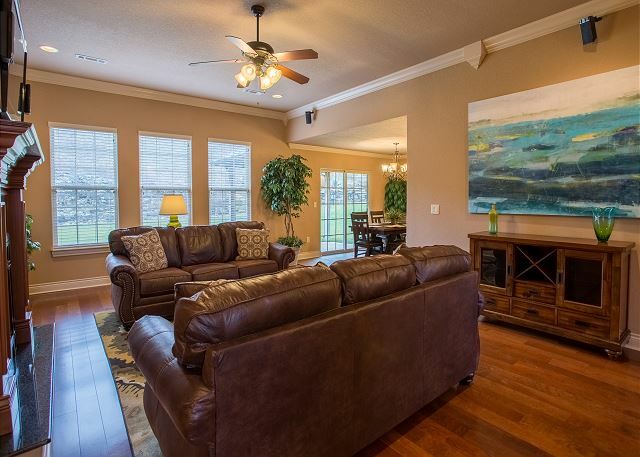 Great house; good location; plenty of space for 4 golfers. The home was clean and in a good location. The add for 4 bedrooms was misleading. It's 3 bedrooms and a pull out sofa in a den. We made it work. Appliances needed some attention, light above tub was out, Ice dispenser would not work, and towel rack fell off the wall in hall bathroom. No garage door openers and no directions to use sound system. House was beautiful and in a great location though. With the price you pay you want everything in order. Also the cleaners waiting outside for us to leave was a bit unprofessional. My husband and I rented this home for our family to stay in for our daughters wedding. This home was amazing! It was laid out well, comfortable and clean. The only suggestion my kids had was one of the smaller bedrooms could be ready for a new mattress. Other than that, we all LOVED the home and would definitely stay here again! Family members who slept in the room next to master said the mattress had big concave area on one side which made it uncomfortable. Set of bedding for one of the pull out couches was missing thre first night. Would've liked some add'l wash clothes. Overall house was great & in nice quiet neighborhood. It was a very beautiful home. We were supplied with all the basic necessities. 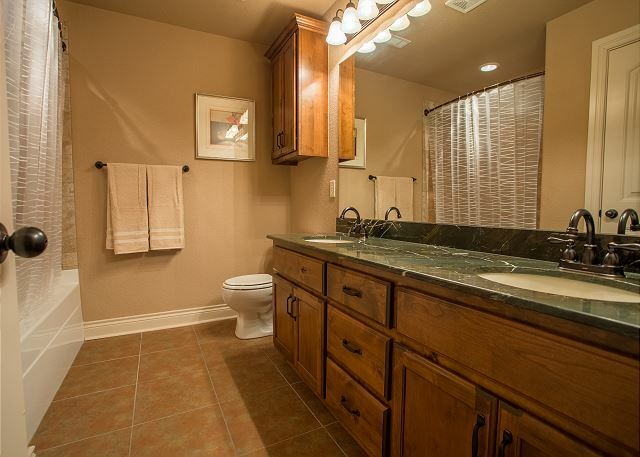 Beautiful home...located only minutes away from everything you would want to do. Clean, comfortable, and pretty! We so enjoyed our stay. We had 9 adults and there was plenty of room! We will be back! Highly recommend! We really enjoyed our rental experience! It made our vacation to Branson memorable. It was close to nearby attractions and easy to find. We did have difficulty getting the Blu Ray disc player to play, and was unable to get assistance from the on-call staff. But, other than that, our stay was AMAZING! We will certainly book again! Residents of the area don't like the renters.... especially in 'their' pool. Seems there is a pretty big disagreement between the two and unfortunately we took the brunt of it one evening. 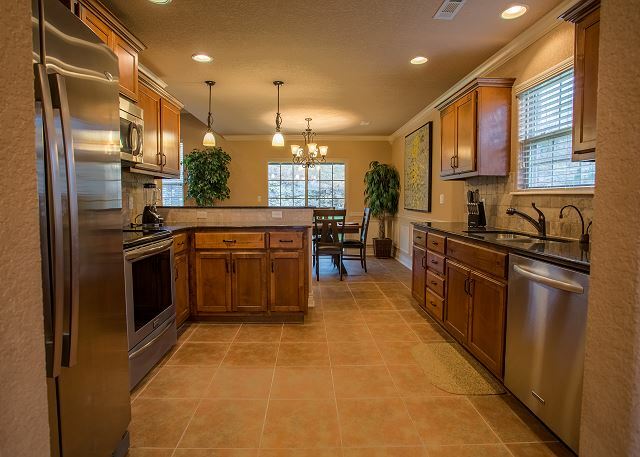 Beautiful home, nice amenities, close to golf and entertainment. Our only complaints are that it should be advertised as a 3 bedroom as one of the rooms has only a sofa sleeper and the only news channels offered are left leaning liberal channels. Other than that it was a positive experience. This property is very spacious and in a quite location. 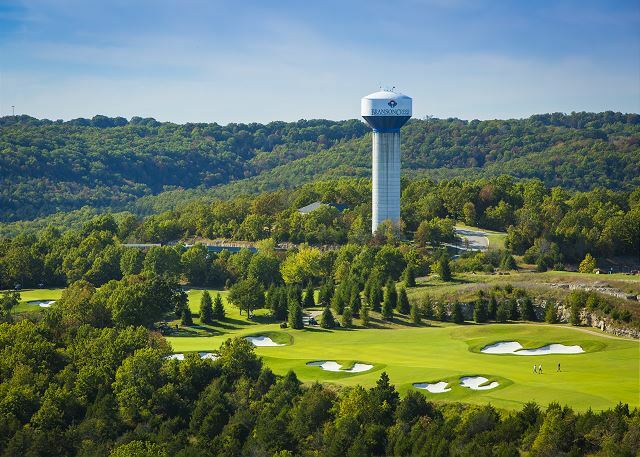 It is close to everything in Branson and easy to get off and on the interstate. We really enjoyed our stay and would recommend highly. Be aware however this is a 3 bed room property and not a 4 bedroom regardless of the description. Rented a house for a weekend girls getaway for 6. House was beautiful and perfect size for the 6 of us. Will definitely be back! Just like the pictures. We had a great stay. However, the ice maker didn't work on the fridge which was kind of frustrating but we managed. It would have been nice to be told up front there wasn't internet. Loved the house! Very clean and tons of room for a family and friends. The house was just as pictured and more. Beds were comfortable and the house was exceptionally clean. We enjoyed plenty of laughs as the 6 of us gathered in the living room nightly. We will definitely return. I have one small suggestion which is to have a small spice cabinet with salt and pepper and other common household seasonings for those who want to wipe up a meal. Hello, Letishae. 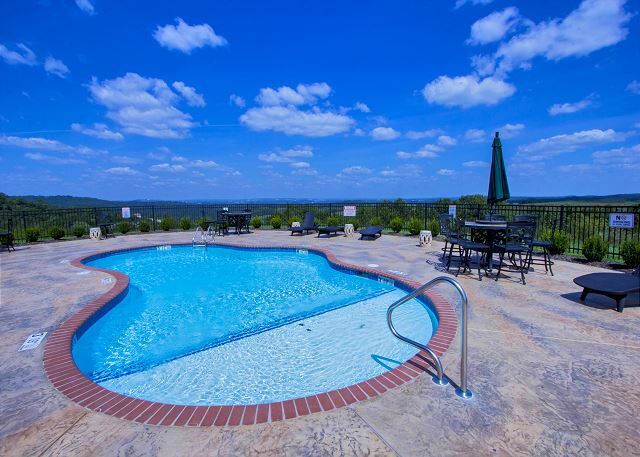 We're so glad to hear you had a great stay at Branson Bluffs Retreat! We truly appreciate the feedback, as well, and will consider your comments about a spice rack as we move forward. We hope to see you again soon, and don't forget to mention your previous stay with us for a special returning guest discount! The house and location were great. The house was clean and well supplied. I did not like having to empty the bucket in the garage that drained from the air conditioning pipe from the room twice a day. I found that design odd. The driveway is very steep so I was thankful that we brought our truck vs my car. Our daughter was in a different rental near by so it made it very convenient though for her to visit. From the moment we arrived on the property to the time we checked out, EVERYTHING met or exceeded our expectations. The home itself was so comfortable and well equipped. The location, just south of Hollister, was perfect for the lake, the Branson Strip and even to hit the 465 loop and access Silver Dollar City. We used the pool, the grill and the gathering complex that were all available. The view from this location was amazing. Since we were there on the 4th, we were able to watch the fireworks from multiple communities from a beautiful pool setting. My family and I had a GREAT experience! We cooked breakfast every morning in the kitchen. The pillows and beds were super comfortable. My daughter fell in LOVE with a fluffy blanket and liked to curl up in it any time we were in the house. The sheets to the hide-a-bed were not out, but that was taken care of within 5 minutes - GREAT service! Good morning, Carl. Thank you for your review! We're so glad to hear you enjoyed your stay at Branson Bluffs Retreat! We hope to see you again soon, and don't forget to let us know that you're a returning guest for a special discount. We grew up in branson amd try to come back often just to see how things have changed. As our families have grown we try to stay somewhere we can all be together and this fit the bill perfectly. Beautiful home with lots of room for the kids. The sleeper sofa is in a room with doors so its actually like a 4 bedroom. Very nicely decorated. And since hail hit while we were there the garage was a huge bonus. Would definatly stay again. Good location for us. Its not in the heart of branson so its quiet at night. Yet conveniently located not to far out. We always go to silver dollar and since we l ow the back roads its a good location to anywhere. Hello, Joel. Thank you for your review! We're so glad that you enjoyed staying at Branson Bluff Retreat. We hope to see you for your next Branson vacation, and let us know about your previous stay for a returning guest discount! I came to Branson Creek with my family and wow! We were impressed! Everything was so clean and we were all very comfortable. It was a fun trip and we would sure recommend this beautiful home to anyone who wants to stay in Branson. This home was very nice and in good location. Unfortunately he weather did not cooperate. The only negative about this rental wan that there is no wifi. Otherwise very comfortable. A promo code is for special discounts and may have been provided to you in either a newsletter, email or other correspondence from the manager or owner of this property. Why Choose a Vacation Rental? All rights reserved. Reproduction of any part of this website without the express written consent of Sunset Realty Services is strictly prohibited. The information on this website is believed to be accurate but not guaranteed. This website and all technologies therein, and all information is owned by and © 2013 Copyright Sunset Realty Services.